Lovely Japanese Bride Erika at Magic Island. 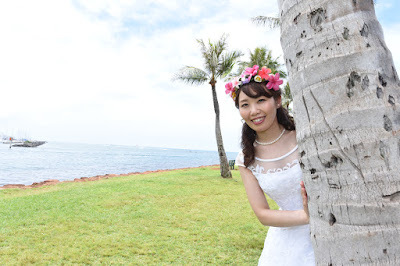 Peeking from behind the coconut tree. Wide angle lens makes her look even thinner!